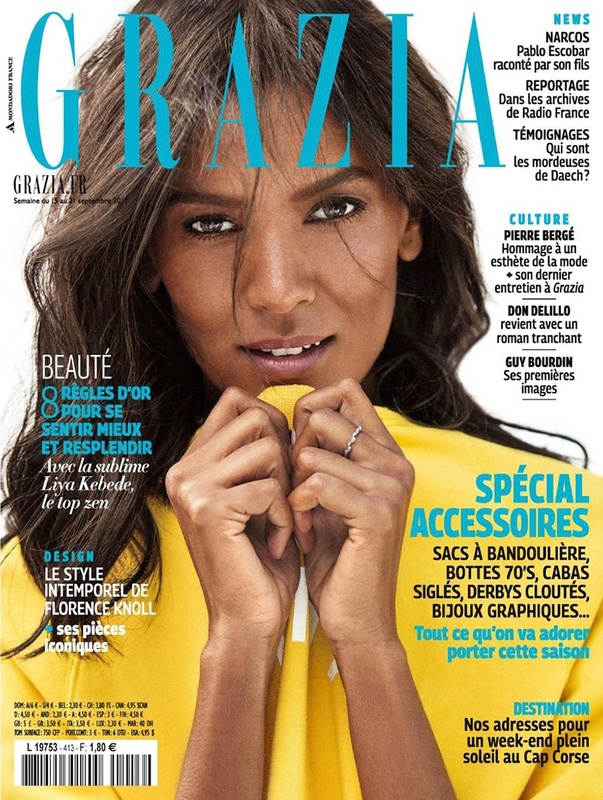 Modeling icon Liya Kebede gets her closeup on the September 15th, 2017 cover of Grazia France. Photographed by Andoni & Arantxa, the Ethiopian model wears a yellow sweatshirt from Holiday Paris. 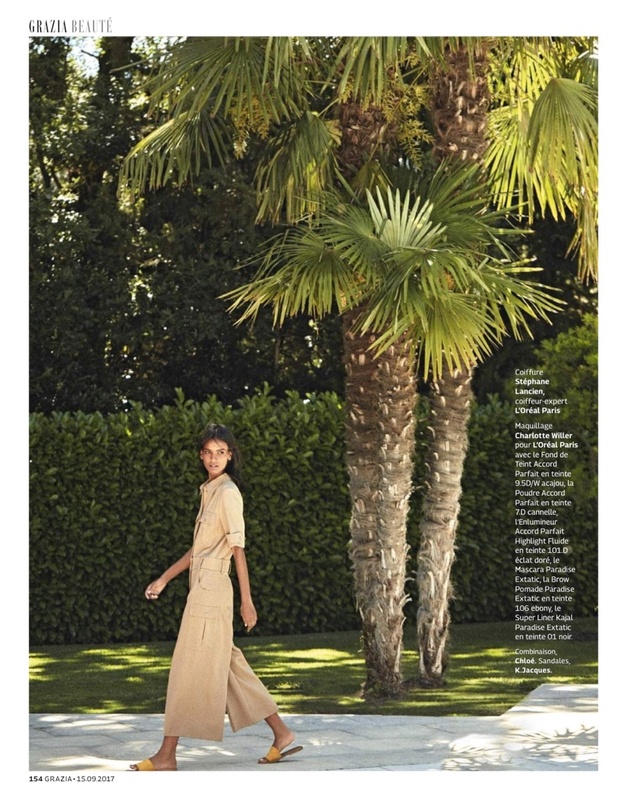 For the inside spread, Liya embraces casual and relaxed fashion including denim and t-shirts. Stylist Megal Grouchka dresses the 39-year-old stunner in the designs of Hermes, Levi’s, Chloe and more.